North Korea has asked foreign embassies in Pyongyang that might wish to get staff out if there is a war to submit plans to it by April 10, Reuters agency has reported. Initial reports by Russia’s Foreign Ministry and China’s Xinhua news agency suggested that North Korea had suggested that embassies should consider closing because of the risk of conflict. 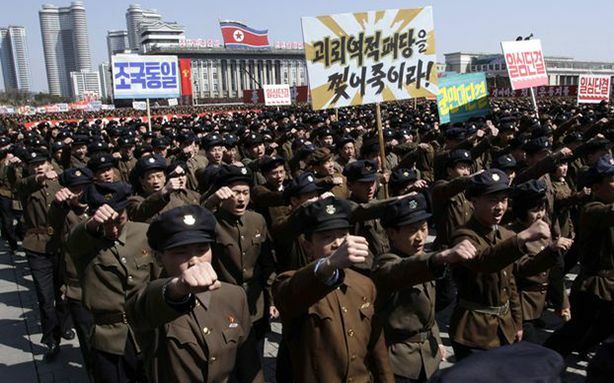 The request came amid a military buildup by the US in South Korea following North Korea’s warnings that war was inevitable. “We believe they have taken this step as part of their continuing rhetoric that the U.S. poses a threat to them,” Britain’s Foreign Office said in a statement after the reports from Russia and China. A British diplomatic official, who spoke on condition of anonymity, said that European Union embassies in Pyongyang had been summoned to deliver their evacuation plans. Under the Vienna Convention that governs diplomatic missions, host governments are required to facilitate the exit of embassy staff in the event of conflict. Russia’s Foreign Ministry said earlier that North Korea had “proposed that the Russian side consider the evacuation of employees in the increasingly tense situation”, according to Denis Samsonov, a spokesman for its embassy in Pyongyang. A report from Chinese state news agency Xinhua chimed with the Russian report, saying that Pyongyang had asked embassies to consider evacuation if the situation deteriorated.